Amazon.com's Top 100 book list changes hourly, but there are a few mainstays right now: All the Light We Cannot See, of course, and the unreleased Go Set a Watchman. Oh, and two colouring books for grownups. 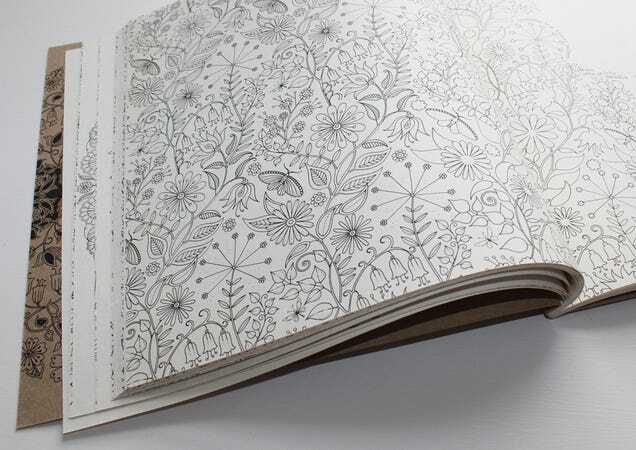 An artist named Johanna Basford pretty much owns two slots of the top seven books on Amazon, but Basford's books aren't novels—they're collections of black-and-white drawings. 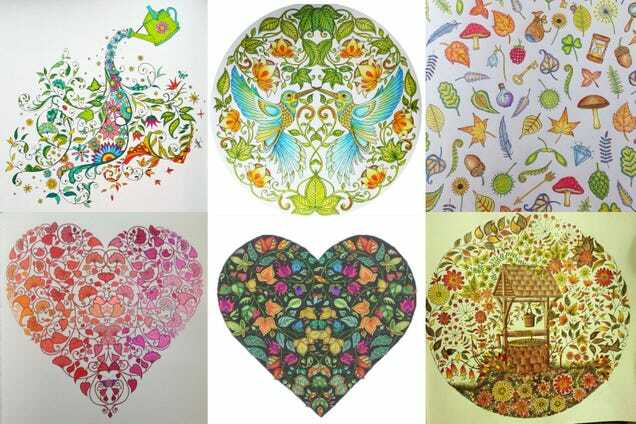 The artist, who graduated from design school in 2005 and is based in Scotland, has turned her lovely ink drawings into colouring books "for grownups." And they're wildly popular, selling millions of copies. If you're like me, you didn't realise colouring for adults was a trend. What is it about these books that has made them so popular with adults? Basford told me that when she first pitched publishers the idea of a grownup colouring book four years ago, "colouring for adults wasn't the trend it is now. You can imagine how quiet they went after I suggested it." But the book she ended up drawing has become a phenomenon: 2013's Secret Garden: An Inky Treasure Hunt and Coloring Book is currently #2 on Amazon's Top 100 and has sold 1.4 million copies. The followup, Enchanted Forest: An Inky Quest & Colouring Book, is #6 right now. She's working on a third. Why is colouring suddenly, according to MarthaStewart.com, a craze amongst grownups? I am an adult colourer or is it colourist??? Whatever, I love this book. So relaxing to sit down with this book and my adult coloured pencils (Faber Castel) and just colour away to my heart's content. Still, that doesn't quite explain what motivates adults to colour rather than, say, draw or paint or just doodle. Is it about nostalgia? Or do stressed-out adults feel comforted by the infantilising nature of returning to an activity for small children? Is it about ceding control of a task, or making something with zero pressure? Or is it something else entirely? I asked Basford why she thinks the books have been so successful amongst fully-grown humans. She pointed to three reasons—first, that colouring books are a way for adults who don't normally draw or paint to be creative. 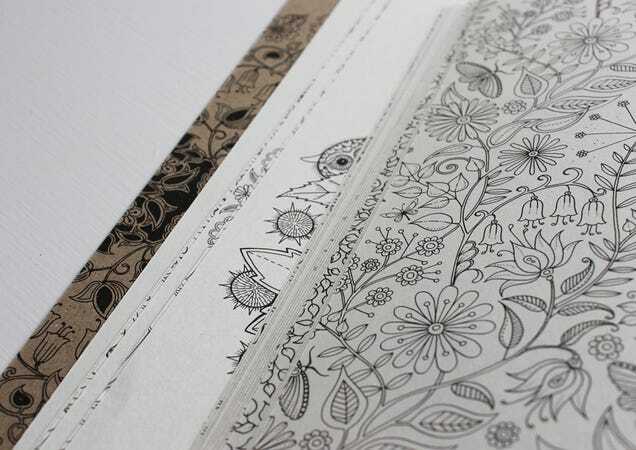 "A blank sheet of paper or an empty canvas can be daunting, but a colouring book acts as a bit of a buffer in this situation," she says.